Florida State University Interim President Garnett S. Stokes has announced several initiatives aimed at preventing sexual violence on campus. The kNOw MORE awareness campaign is Florida State’s most visible effort to educate the university community about responsible conduct and the meaning of consent as well as prevention and intervention and resources for sexual assault victims. 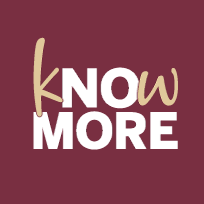 •Student Engagement: Students developed the “kNOw More” brand to highlight the dual message of Florida State’s no tolerance stance on sexual violence and education efforts focused on prevention. Students also are leading marketing efforts for a campaign, “Ask. Respect. Don’t Expect,” aimed at raising awareness among their peers about obtaining clear consent for sexual activity and bystander intervention to prevent sexual assault or misconduct. Stokes joined students at a Sept. 3 kickoff event at Oglesby Union to distribute T-shirts and information and engage students in photo opportunities as part of the social media component of the campaign. •Website: Florida State has launched a new website that serves as a one-stop location for information about sexual violence that was previously housed on several different sites. The site clearly outlines how to report an incident, answers frequently asked questions and lists important contact information and resources available to students and others, including the Victim Advocate Program and the University Counseling Center. Visit knowmore.fsu.edu. •Training: All freshmen and new transfer students are expected to complete “Think About It,” an interactive, online program that discusses sexual violence prevention, bystander prevention and healthy relationships. Students also are asked to attend one of several hourlong “Campus Conversation” programs to be held this fall. Florida State’s Human Resources and the Provost’s Office also have begun training faculty, staff and graduate students. The training provides information about confidential resources, employee responsibilities and strategies to support students. •Title IX Program Director: A search is underway for a full-time employee who will coordinate Florida State’s Title IX efforts, including the development, implementation and monitoring of appropriate policies, procedures and practices to ensure compliance with federal and state law. FSU previously had several Title IX-trained coordinators in different departments; the new position will allow for more focused leadership and direction for all of the university’s Title IX activities and personnel. Title IX is a federal law that ensures all education programs and activities are free from discrimination on the basis of gender, including sexual harassment, sexual assault, sexual violence or other sexual misconduct. •Policies: Florida State is conducting a comprehensive review of all of its policies to ensure that policy language is in alignment with the most recent federal guidelines. The initiatives stem from the work of the Sexual Violence Prevention Task Force, which Stokes established in May 2014.